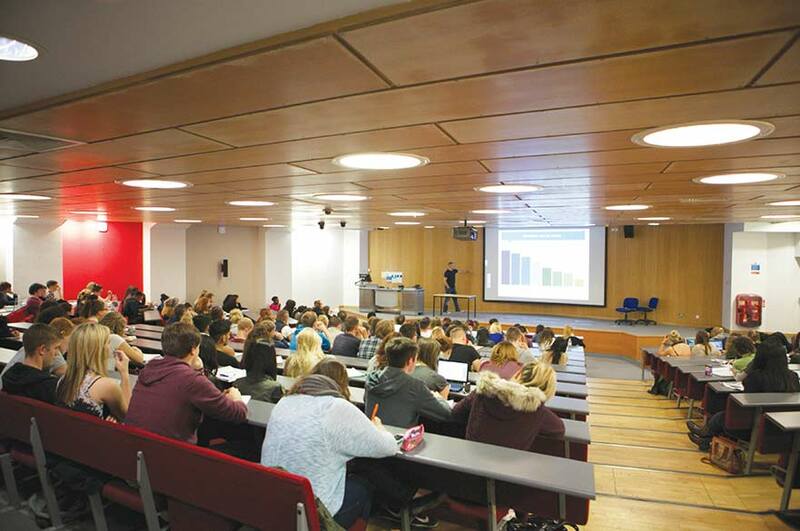 Nottingham Trent University has been rated among the best in the UK for its teaching quality, according to the latest Times and Sunday Times Good University Guide. What matters most to potential students and their parents about any university is the quality of its teaching. The table ranks the University as 13th out of 128 institutions for student satisfaction with the quality of teaching, building on last year's impressive listing of 18th. The University was also listed 33rd in the wider student experience category in the prestigious annual rankings. The guide aims to provide students with the information required to make an informed choice about their higher education. Nottingham Trent University is the biggest to feature inside the top 20 for student satisfaction with teaching quality, a part of the National Student Survey, normally dominated by much smaller institutions. Teaching quality measures factors such as teaching, assessment, feedback, and academic support, while student experience examines different aspects of a course, including overall satisfaction, learning resources, organisation, and management. Nottingham Trent University Vice-Chancellor, Professor Edward Peck, said: "What matters most to potential students and their parents about any university is the quality of its teaching. This is why we are delighted to be ranked in the top 15 for our teaching quality. "It is further testament to the creativity and commitment of our colleagues here at Nottingham Trent University." Last month it was revealed that satisfaction rates among students at the University had risen for the fifth consecutive year, to a record level of 89%. It gave the University the sixth highest score in the National Student Survey. The University also climbed into the top 20 UK universities for student experience, according to the Times Higher Education survey of current undergraduates. The university was ranked 17th in the national table, which saw students rate their institutions on a range of provisions, including high-quality staff and lectures, well-structured courses, high-quality facilities, good support and welfare, and good extracurricular activities. In July, the University won two out of six major prizes at the 2016 NUS Internationalisation Awards. The institution received the 'Innovation in Internationalising the Student Experience' and the 'Excellence in International Student Support' awards, which aim to recognise work to enhance the international student experience. And in April the University was named best for international students at the Whatuni Student Choice Awards – and ranked in the top ten universities overall. The rankings are based on thousands of reviews submitted by students.